B/E Aerospace is the worldwide leading manufacturer of aircraft passenger cabin interior products for the commercial and business jet aircraft markets as well as a global distributor of aerospace fasteners. B/E Aerospace is a market leader across five major product segments: aircraft lighting, oxygen, seating, galley, water/waste water system. 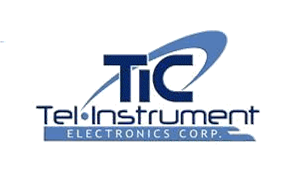 Tel-Instrument Electronics Corp. (TIC) is a recognized world leader in the design and manufacture of avionics test equipment. Its major products including, VOR, GS, LOC and MB, AM/FM Transceivers from 29 to 400 MHz, TR-220 Multi-Function Avionics Test Set, T-30D VOR ILS MB Ramp Test Set, etc. U.S. listed company. Intercomp Company Inc. is an ISO 9001:2000 Registered company that has been serving the weighing and measurement industry for over 30 years. Intercomp has established itself as the world''''s largest manufacturer of portable scales for the industrial, material handling and transportation industries. It is the only one approved supplier by both Boeing and Airbus. Now, Intercomp has the largest market share in China. TestVonics Incorporated is specialized in Air Data Testers and Calibrators, with over 30 years of direct Air Data Experience, directly supporting the USAF, US Navy, FMS Commercial Airlines/Airframes and Organizations. TestVonics has the most extensive background and experience in the TTU-205 family of air data testers. It is currently the only supplier for the TTU-205J Pressure Temperature Test Set for the United States Air Force. TestVonics has a variety of support equipment for the TTU-205, FLMTS, ADTS, ADC as well as other equipment. Astronics AeroSat designs and manufactures fuselage and tail-mounted aviation SATCOM connectivity solutions for General Aviation, Business, Commercial Transport, VVIP, and Head of State aircraft customers around the world. Its innovative Ku band aircraft SATCOM antenna systems are typically used to enable satellite and ground-based communication to aircraft, commonly for broadband internet and live TV applications. Techna NDT manufactures probes, transducers, standards and accessories used in the NDT inspection of aircraft airframe and powerplants related to both commercial and military operations. Their mission is to provide our customers with top quality products, reliable and professional technical support, and unparalleled customer service while maintaining very quick shipping lead times. Rohmann GmbH is a medium-size company which has specialised in non-destructive materials testing using eddy currents. Its ELOTEST trademark stands for a pioneering system and innovative testing concepts. The product range includes probes, coils, rotors and universal hand-held equipment, as well as custom-built test systems. Kollsman, Inc. is a leading manufacturer of avionics and electro-optic systems supplying to commercial and military markets as well as a medical instruments systems contractor. Kollsman is a primary provider of commercial aviation systems based on innovative technologies that have made significant safety improvements in the way commercial pilots fly. ISO-9001 facility and U. S. listed company. EaglePicher Technologies, LLC, an OM Group company, is a leading producer of batteries and energetic devices for the defense, aerospace, medical, and commercial industries. The company provides the most experience and broadest capability in battery electrochemistry of any battery supplier in the United States. HarcoSemco’s mission is to provide superior service, technologically advanced products and custom solutions for challenging aerospace applications. We deliver on that commitment by empowering our people to provide a better customer experience, find innovative solutions, and deliver quality products on time, every time. We have been the partner of choice in the aerospace industry for over 60 years and continue to be a cutting edge supplier that you can trust. We are HarcoSemco and we are Empowered to Be Better. Garsite is the North America''''s largest manufacturer of Gallon Avgas Refueler. Phase II is a leading supplier of machine tool accessories, material testing instrumentation, precision measuring tools, cutting tools and shop supplies. General Plastics has been a pioneer in the development and production of polyurethane solutions for over 50 years, especially with its LAST-A-FOAM® high performance polyurethane foam. KLJ Instruments specializes in providing timely, high-value solutions for testing aviation equipment. KLJ Instruments products include ARINC 429 Test Equipment and a wide range of Automatic Dependent Surveillance - Broadcast (ADS-B) test equipment for testing air traffic control ground stations and airborne avionics that transmit and receive ADS-B information. ADS-B generators can transmit and receive Mode S Squitters and Universal Access Transceivers (UAT) messages plus Traffic Information Systems - Broadcast (TIS-B). Copyright 2016 © East Wonder International, Inc. All rights reserved.